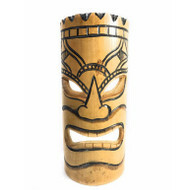 All of our Tiki masks are hand carved in Hawaii! 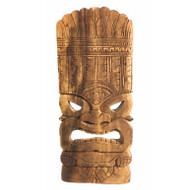 Tiki masks look great not only in your Tiki bar, Tiki lounge but also hanging up at your entry way to greet your guests and protect your home. 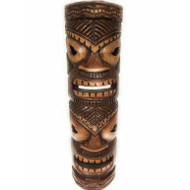 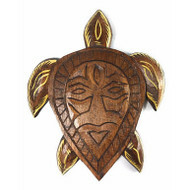 Our hand carved tikis will bring you Aloha in your newly decorated home. 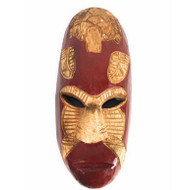 The Tiki masks are finished with oil or waxed and polished, then hand rubbed to create a beautiful luster. 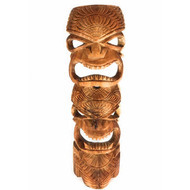 Our collection of authentic Polynesian wooden sculptures are carved with the best materials available. 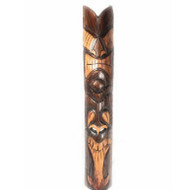 Each piece is original and unique! 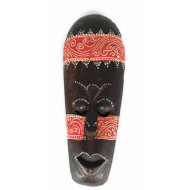 These wall plaques masks would be perfect not only indoors, but also outdoors in a private garden setting, to greet your visitors at the front door, or on a patio for decoration.